Storefront Hours: 11AM-7PM PST Monday-Friday | 12 Noon-5PM PST Saturday & Sunday. More than any other canonical English writer, Geoffrey Chaucer lived and worked at the centre of political life--yet his poems are anything but conventional. Edgy, complicated, and often dark, they reflect a conflicted world, and their astonishing diversity and innovative language earned Chaucer renown as the father of English literature. Marion Turner, however, reveals him as a great European writer and thinker. To understand his accomplishment, she reconstructs in unprecedented detail the cosmopolitan world of Chaucer's adventurous life, focusing on the places and spaces that fired his imagination. 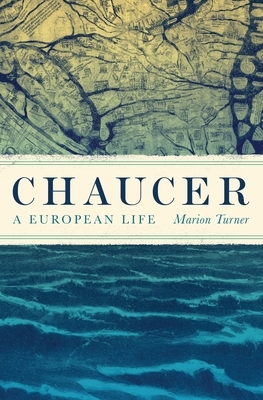 Uncovering important new information about Chaucer's travels, private life, and the early circulation of his writings, this innovative biography documents a series of vivid episodes, moving from the commercial wharves of London to the frescoed chapels of Florence and the kingdom of Navarre, where Christians, Muslims, and Jews lived side by side. The narrative recounts Chaucer's experiences as a prisoner of war in France, as a father visiting his daughter's nunnery, as a member of a chaotic Parliament, and as a diplomat in Milan, where he encountered the writings of Dante and Boccaccio. At the same time, the book offers a comprehensive exploration of Chaucer's writings, taking the reader to the Troy of Troilus and Criseyde, the gardens of the dream visions, and the peripheries and thresholds of The Canterbury Tales. By exploring the places Chaucer visited, the buildings he inhabited, the books he read, and the art and objects he saw, this landmark biography tells the extraordinary story of how a wine merchant's son became the poet of The Canterbury Tales. UPB is pleased to host the Cafe Ohlone on our patio, the Garden of Half-Baked ideas. Savor the foods which characterized east bay cuisine for thousands of years, before European contact. Brought to you by Mak'amham. Our site lists many titles we do not have in the store but can still sell. These can be shipped to you or you can pick them up. Look at the book's Availability info. "On our shelves now" means we probably have a copy in the store. "Ships from Warehouse, Usually in 2-8 Days." means we can probably get a copy shipped to you within that time, even though we lack one at the moment. Books marked "Special Order- Call or email for price" can be hard to get, even when in print. Contact us to see if we can order them. From 1974, University Press Books has stoked the blaze of well over ten thousand minds on fire, carrying new scholarship published by the great university presses in the English-speaking world. Since our founding, we've added quality fiction and creative non-fiction to our selection, without drfiting from our mission to showcase top new texts introduced by university presses. Order from us. Visit us. Let well-wrought words churn and burn within. 12 Noon-5PM PST Sat. & Sun. We base our logo on Vita Wells's installation, Flights of Mind. Thanks, Vita, for letting us use your idea.